The Pier 9 Workshop is excited to share our full roster of Machine Training Curriculum on Instructables. Each class was developed over 5 years of hands-on collaboration with industry experts. We hope the knowledge we've gathered here will help any level of user be successful in a workshop. Even if you are not an Instructables member, free PDF downloads of all our machine manuals are available here. The Epilog Legend Laser Cutter is a computer controlled machine capable of cutting and etching a variety of sheet materials in 2 dimensions. Laser cutters are useful for cutting complex designs, making multiples of the same part and etching patterns. Autodesk Technology Center San Francisco is a hub for research, development, and demonstration of new manufacturing technologies and workflows relating to configurable microfactories. And introduction to the operation of the Epilog laser cutter including basic safety, ventilation, inspecting the optics and and using the control panel. This lesson will show you how to get the machine ready for cutting, load your material, focus the laser and and inspect for potential fire hazards. 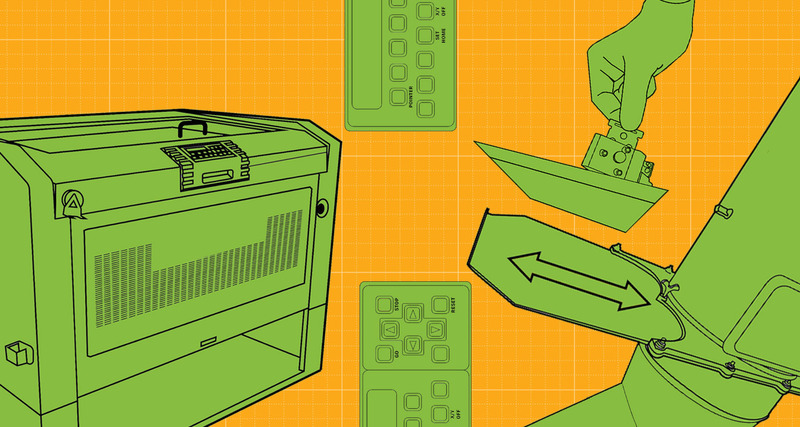 Learn how to optimize files for cutting from different design software and adjust your job settings, and run a test pass before cutting. Laser cutting can be dangerous and requires vigilance to prevent fires. 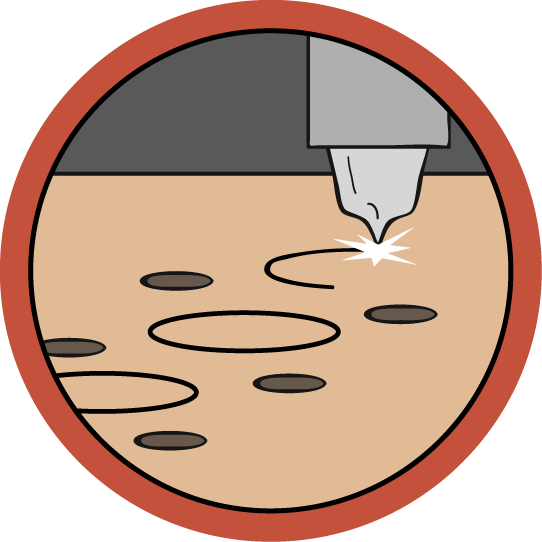 This lesson will teach you the proper procedure for preventing and putting out possible laser cutter fires. A quick reference review of the correct order of operations for using the Epilog from machine prep to cleanup. This lesson also includes a free PDF download of this class to use in your shop.